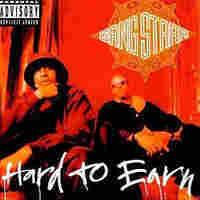 The Mass Appeal Of Gang Starr Gang Starr was the platonic ideal of underground hip-hop for a generation of rap fans. The group's founder, Guru (né Keith Elam), died on Monday morning. Hear his most notable work with Gang Starr and as a solo artist. You can hear All Things Considered's appreciation of Guru here. Between its formation in 1989 and 2003, when the duo disbanded, Brooklyn's Gang Starr was the platonic ideal of underground hip-hop for a generation of rap fans. The group's founder and lyricist, Guru (né Keith Elam), died on Monday morning from complications related to multiple myeloma. He was 47. 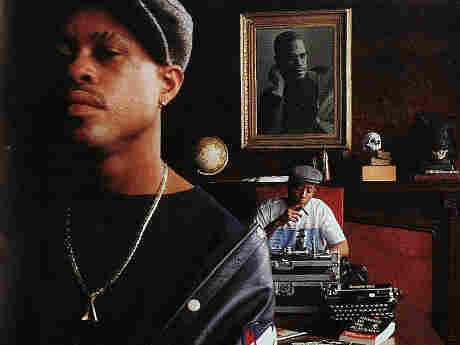 Along with producing partner DJ Premier, Guru helped shape the sound and attitude of hip-hop through at least two distinct eras of his career. The first, beginning in the late '80s, bridged jazz and hip-hop through both sampling and artistic collaborations. The second carried Gang Starr through the latter half of its career: an uncompromising, gritty street sound built around Premier's staccato beats and Guru's distinctively gruff monotone. Hear four of Gang Starr's most notable songs plus one from Guru's prolific solo career below. Advisory: Some of these recordings contain explicit language and subject matter not suitable for all ages. 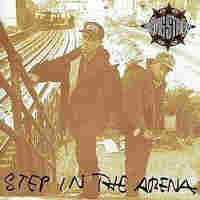 Guru began Gang Starr with three friends from his hometown of Boston but they disbanded after only a couple of recordings. After moving to New York, Guru discovered DJ Premier via a demo tape. The two reformed Gang Starr, and in 1989, released "Words That I Manifest" as the first recording of their new partnership. Built around the bass line from Dizzy Gillespie's "A Night in Tunisia" (as well as James Brown's "Bring It Up"), "Manifest" may not have been the first hip-hop song to sample from jazz but it was the first to do it so prominently and deliberately. Up until then, hip-hop had mostly mined funk sources like Brown, George Clinton's P-Funk and Sly Stone. But with "Manifest" Gang Starr turned its attention to another pivotal tradition in black music. After "Manifest" came "Jazz Music" for the No More Mr. Nice Guy album which was then followed by "Jazz Thing," recorded for the Mo Better Blues soundtrack. 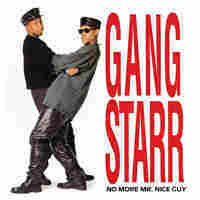 Gang Starr was soon followed by other jazz-loving hip-hoppers, including A Tribe Called Quest and Pete Rock. But Gang Starr is credited with being the primary pioneers in that style. Hear "Words That I Manifest" on YouTube. Though its name was an obvious play on "gangster," in the early years, the group was just as likely to critique violence as lionize it. "Just To Get A Rep" is a cleverly-built narrative about a young hoodlum out to make a name for himself, only to find that his actions have deadly consequences. As New York radio DJ Mr. Cee proclaimed during his tribute set on April 20th, this was the "ultimate robbery song," and served as both a cautionary tale and vivid work of hip-hop street fiction. Hear "Just To Get A Rep" on YouTube. Neither Guru nor Premier were from Brooklyn -- Guru hailed from Boston, Premier from Houston -- yet they became two of the borough's most celebrated transplants. "The Planet," an album cut from their 3rd studio LP, paid tribute to both the peril and promise of living in New York. Guru drew upon his own life story for the song, describing how he left home to pursue a dream of rapping: "Anyways, I used to lay up in the crib / listening to Red and Marley / wishing I was on, kid." It's a poignant, personal rags-to-riches tale that ranks among the group's best recordings. Hear "The Planet" on YouTube. 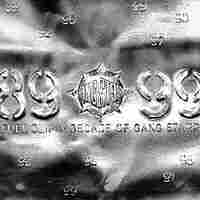 "Full Clip" preceded the 1999 release of Gang Starr's 10-year retrospective anthology of the same name. If the beginning of Gang Starr's decade was characterized by the group's jazzy dabblings and Guru's laid-back flow, by the 10 year mark they had switched it up with a harder sound built around Premier's jackhammer tracks and Guru's more aggressive delivery. "Full Clip" is also well-known for its opening homage: "Big L, rest in peace." It's a reference to Harlem rapper Big L, who was shot to death earlier that year, and it's likely that many will now remix it to direct the honor to Guru instead. Hear "Full Clip" on YouTube. 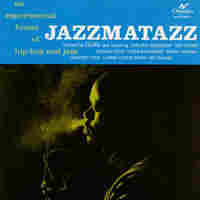 As a solo artist, Guru released four volumes of his Jazzmatazz series between 1993 and 2007. These were his opportunity to deepen collaborations between himself and various jazz artists, including everyone from trumpeter Freddie Hubbard to singer N’Dea Davenport to pianist Herbie Hancock. This song, from the first Jazzmatazz, features both guitarist Ronnie Jordan and vocalist Dee C. Lee. As a groovin' departure from Gang Starr's aesthetic, it helped establish Guru as hip-hop's premier jazzbo. Hear "No Time To Play" on YouTube.